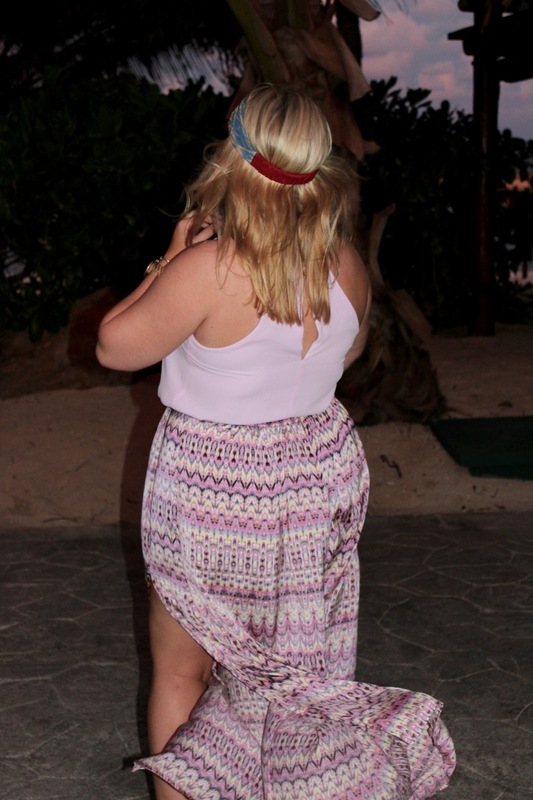 I love dressing up every night for dinner on our Honeymoon in Riveria Maya, Mexico. This was hands down my favorite look. 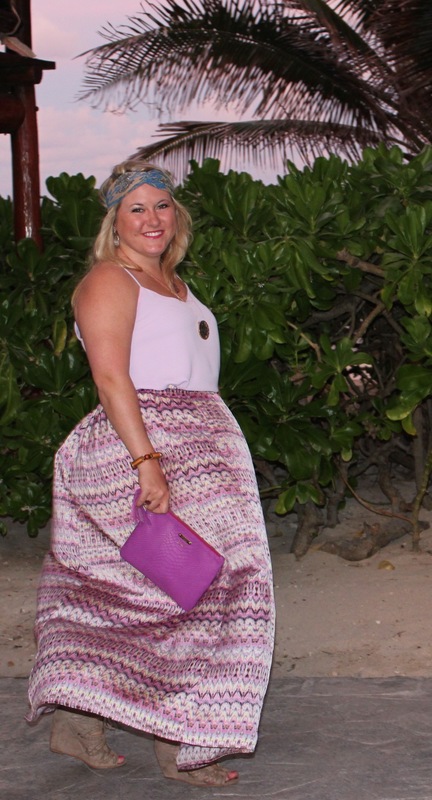 It was the perfect breezy outfit for a beachy dinner. This shirt is awesome! It is from Express and is reversable. The other side is a light purple. Both sides went with the skirt, but I thought the light pink was pretty with the sunset! 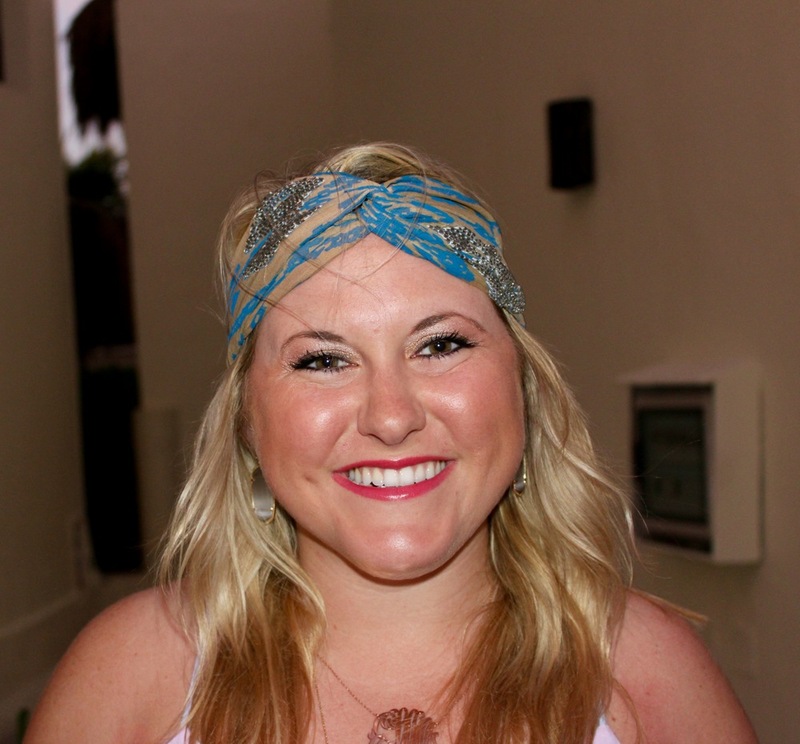 Every time I post a new honeymoon outfit post, it makes me miss Mexico more and more! Here's to an awesome week!